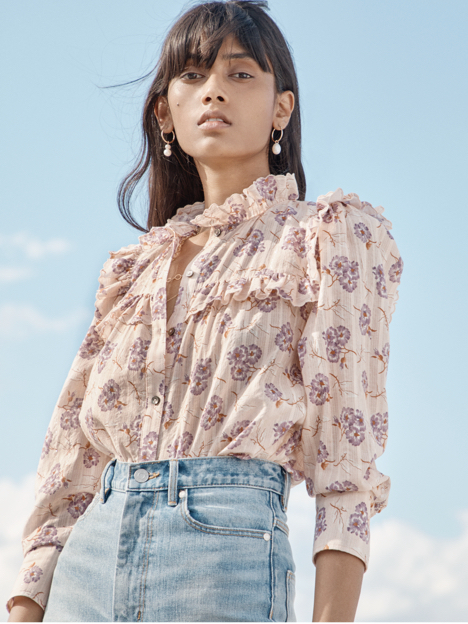 Garden florals bloom on this effortless cotton top. Garden florals bloom on this effortless cotton top. Its easy button-up silhouette is defined by short, fluttery sleeves that are ideal solo or layered under jackets.